Finn & Conway is a leading Manufacturer's Representative of industrial process equipment. We have a reputation for providing intensive sales and marketing coverage for our principals and a high level of technical application engineering assistance for our customer base. Finn & Conway is a leading Manufacturer's Representative of industrial process equipment. We have a reputation for providing intensive sales and marketing coverage for our principals and a high level of technical application engineering assistance for our customer base. Finn & Conway is a leading Manufacturer's Representative of industrial process equipment. We have a reputation for providing intensive sales and marketing coverage for our principals and a high level of technical application engineering assistance for our customer base. Finn & Conway is a leading Manufacturer's Representative of industrial process equipment. We have a reputation for providing intensive sales and marketing coverage for our principals and a high level of technical application engineering assistance for our customer base. Finn & Conway is a leading Manufacturer's Representative of industrial process equipment. We have a reputation for providing intensive sales and marketing coverage for our principals and a high level of technical application engineering assistance for our customer base. Finn & Conway is a leading Manufacturer's Representative of industrial process equipment. We have a reputation for providing intensive sales and marketing coverage for our principals and a high level of technical application engineering assistance for our customer base. Finn & Conway is a leading Manufacturer's Representative of industrial process equipment. We have a reputation for providing intensive sales and marketing coverage for our principals and a high level of technical application engineering assistance for our customer base. Finn & Conway is a leading Manufacturer's Representative of industrial process equipment. We have a reputation for providing intensive sales and marketing coverage for our principals and a high level of technical application engineering assistance for our customer base. Finn & Conway is a leading Manufacturer's Representative of industrial process equipment. We have a reputation for providing intensive sales and marketing coverage for our principals and a high level of technical application engineering assistance for our customer base. Finn & Conway is a leading Manufacturer's Representative of industrial process equipment. We have a reputation for providing intensive sales and marketing coverage for our principals and a high level of technical application engineering assistance for our customer base. Finn & Conway is a leading Manufacturer's Representative of industrial process equipment. We have a reputation for providing intensive sales and marketing coverage for our principals and a high level of technical application engineering assistance for our customer base. Finn & Conway is a leading Manufacturer's Representative of industrial process equipment. We have a reputation for providing intensive sales and marketing coverage for our principals and a high level of technical application engineering assistance for our customer base. Finn & Conway is a leading Manufacturer's Representative of industrial process equipment. We have a reputation for providing intensive sales and marketing coverage for our principals and a high level of technical application engineering assistance for our customer base. Finn & Conway is a leading Manufacturer's Representative of industrial process equipment. We have a reputation for providing intensive sales and marketing coverage for our principals and a high level of technical application engineering assistance for our customer base. Finn & Conway is a leading Manufacturer's Representative of industrial process equipment. We have a reputation for providing intensive sales and marketing coverage for our principals and a high level of technical application engineering assistance for our customer base. Finn & Conway is a leading Manufacturer's Representative of industrial process equipment. We have a reputation for providing intensive sales and marketing coverage for our principals and a high level of technical application engineering assistance for our customer base. Finn & Conway is a leading Manufacturer's Representative of industrial process equipment. We have a reputation for providing intensive sales and marketing coverage for our principals and a high level of technical application engineering assistance for our customer base. Finn & Conway is a leading Manufacturer's Representative of industrial process equipment. We have a reputation for providing intensive sales and marketing coverage for our principals and a high level of technical application engineering assistance for our customer base. Finn & Conway is a leading Manufacturer's Representative of industrial process equipment. We have a reputation for providing intensive sales and marketing coverage for our principals and a high level of technical application engineering assistance for our customer base. Finn & Conway is a leading Manufacturer's Representative of industrial process equipment. We have a reputation for providing intensive sales and marketing coverage for our principals and a high level of technical application engineering assistance for our customer base. Finn & Conway is a leading Manufacturer's Representative of industrial process equipment. We have a reputation for providing intensive sales and marketing coverage for our principals and a high level of technical application engineering assistance for our customer base. Finn & Conway is a leading Manufacturer's Representative of industrial process equipment. We have a reputation for providing intensive sales and marketing coverage for our principals and a high level of technical application engineering assistance for our customer base. Finn & Conway is a leading Manufacturer's Representative of industrial process equipment. We have a reputation for providing intensive sales and marketing coverage for our principals and a high level of technical application engineering assistance for our customer base. Finn & Conway is a leading Manufacturer's Representative of industrial process equipment. We have a reputation for providing intensive sales and marketing coverage for our principals and a high level of technical application engineering assistance for our customer base. Finn & Conway is a leading Manufacturer's Representative of industrial process equipment. We have a reputation for providing intensive sales and marketing coverage for our principals and a high level of technical application engineering assistance for our customer base. Finn & Conway is a leading Manufacturer's Representative of industrial process equipment. We have a reputation for providing intensive sales and marketing coverage for our principals and a high level of technical application engineering assistance for our customer base. Finn & Conway is a leading Manufacturer's Representative of industrial process equipment. We have a reputation for providing intensive sales and marketing coverage for our principals and a high level of technical application engineering assistance for our customer base. Finn & Conway is a leading Manufacturer's Representative of industrial process equipment. We have a reputation for providing intensive sales and marketing coverage for our principals and a high level of technical application engineering assistance for our customer base. Finn & Conway is a leading Manufacturer's Representative of industrial process equipment. We have a reputation for providing intensive sales and marketing coverage for our principals and a high level of technical application engineering assistance for our customer base. Finn & Conway is a leading Manufacturer's Representative of industrial process equipment. We have a reputation for providing intensive sales and marketing coverage for our principals and a high level of technical application engineering assistance for our customer base. Finn & Conway is a leading Manufacturer's Representative of industrial process equipment. We have a reputation for providing intensive sales and marketing coverage for our principals and a high level of technical application engineering assistance for our customer base. Finn & Conway is a leading Manufacturer's Representative of industrial process equipment. We have a reputation for providing intensive sales and marketing coverage for our principals and a high level of technical application engineering assistance for our customer base. Finn & Conway is a leading Manufacturer's Representative of industrial process equipment. We have a reputation for providing intensive sales and marketing coverage for our principals and a high level of technical application engineering assistance for our customer base. Finn & Conway is a leading Manufacturer's Representative of industrial process equipment. We have a reputation for providing intensive sales and marketing coverage for our principals and a high level of technical application engineering assistance for our customer base. Finn & Conway is a leading Manufacturer's Representative of industrial process equipment. We have a reputation for providing intensive sales and marketing coverage for our principals and a high level of technical application engineering assistance for our customer base. Finn & Conway is a leading Manufacturer's Representative of industrial process equipment. We have a reputation for providing intensive sales and marketing coverage for our principals and a high level of technical application engineering assistance for our customer base. Finn & Conway is a leading Manufacturer's Representative of industrial process equipment. We have a reputation for providing intensive sales and marketing coverage for our principals and a high level of technical application engineering assistance for our customer base. Finn & Conway is a leading Manufacturer's Representative of industrial process equipment. We have a reputation for providing intensive sales and marketing coverage for our principals and a high level of technical application engineering assistance for our customer base. Finn & Conway is a leading Manufacturer's Representative of industrial process equipment. We have a reputation for providing intensive sales and marketing coverage for our principals and a high level of technical application engineering assistance for our customer base. Finn & Conway is a leading Manufacturer's Representative of industrial process equipment. We have a reputation for providing intensive sales and marketing coverage for our principals and a high level of technical application engineering assistance for our customer base. Finn & Conway is a leading Manufacturer's Representative of industrial process equipment. We have a reputation for providing intensive sales and marketing coverage for our principals and a high level of technical application engineering assistance for our customer base. Finn & Conway is a leading Manufacturer's Representative of industrial process equipment. We have a reputation for providing intensive sales and marketing coverage for our principals and a high level of technical application engineering assistance for our customer base. Finn & Conway is a leading Manufacturer's Representative of industrial process equipment. We have a reputation for providing intensive sales and marketing coverage for our principals and a high level of technical application engineering assistance for our customer base. Finn & Conway is a leading Manufacturer's Representative of industrial process equipment. We have a reputation for providing intensive sales and marketing coverage for our principals and a high level of technical application engineering assistance for our customer base. Finn & Conway is a leading Manufacturer's Representative of industrial process equipment. We have a reputation for providing intensive sales and marketing coverage for our principals and a high level of technical application engineering assistance for our customer base. Finn & Conway is a leading Manufacturer's Representative of industrial process equipment. We have a reputation for providing intensive sales and marketing coverage for our principals and a high level of technical application engineering assistance for our customer base. Finn & Conway is a leading Manufacturer's Representative of industrial process equipment. We have a reputation for providing intensive sales and marketing coverage for our principals and a high level of technical application engineering assistance for our customer base. Finn & Conway is a leading Manufacturer's Representative of industrial process equipment. We have a reputation for providing intensive sales and marketing coverage for our principals and a high level of technical application engineering assistance for our customer base. Finn & Conway is a leading Manufacturer's Representative of industrial process equipment. We have a reputation for providing intensive sales and marketing coverage for our principals and a high level of technical application engineering assistance for our customer base. Finn & Conway is a leading Manufacturer's Representative of industrial process equipment. We have a reputation for providing intensive sales and marketing coverage for our principals and a high level of technical application engineering assistance for our customer base. Finn & Conway is a leading Manufacturer's Representative of industrial process equipment. We have a reputation for providing intensive sales and marketing coverage for our principals and a high level of technical application engineering assistance for our customer base. Finn & Conway is a leading Manufacturer's Representative of industrial process equipment. We have a reputation for providing intensive sales and marketing coverage for our principals and a high level of technical application engineering assistance for our customer base. 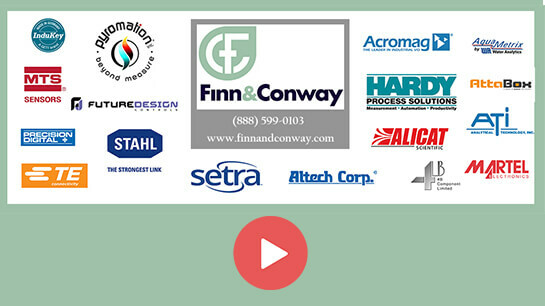 Finn & Conway is a leading Manufacturer's Representative of industrial process equipment. We have a reputation for providing intensive sales and marketing coverage for our principals and a high level of technical application engineering assistance for our customer base. Finn & Conway is a leading Manufacturer's Representative of industrial process equipment. We have a reputation for providing intensive sales and marketing coverage for our principals and a high level of technical application engineering assistance for our customer base. Finn & Conway is a leading Manufacturer's Representative of industrial process equipment. We have a reputation for providing intensive sales and marketing coverage for our principals and a high level of technical application engineering assistance for our customer base. Finn & Conway is a leading Manufacturer's Representative of industrial process equipment. We have a reputation for providing intensive sales and marketing coverage for our principals and a high level of technical application engineering assistance for our customer base. Finn & Conway is a leading Manufacturer's Representative of industrial process equipment. We have a reputation for providing intensive sales and marketing coverage for our principals and a high level of technical application engineering assistance for our customer base. There are no short cuts. Hard work, dedication and excellence in performance are absolute musts. The most important line we will ever have is our reputation and we guard it above all else. © Copyright 2018 by FINN & CONWAY. Inc. All Rights Reserved.